Photo: Chester Marler descending the south side of Lichtenberg on a mysteriously, misty day. Map. 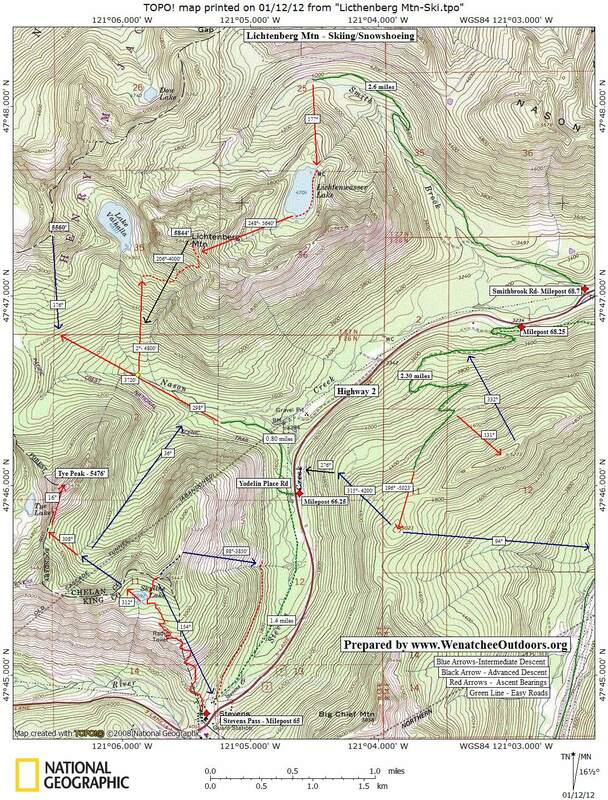 See our topographic map of the route below. 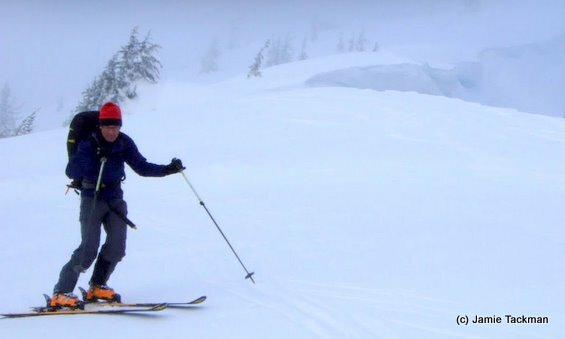 This map also has other ski and snowshoe trips to sample in the Stevens Pass area. Photo: Touring up Nason Creek toward Lichtenberg. Snow conditions. 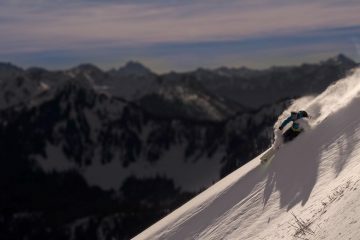 Use our ‘Skiing’ Condition Reports under “weather” on our homepage to evaluate the snow and avalanche conditions before you head out. 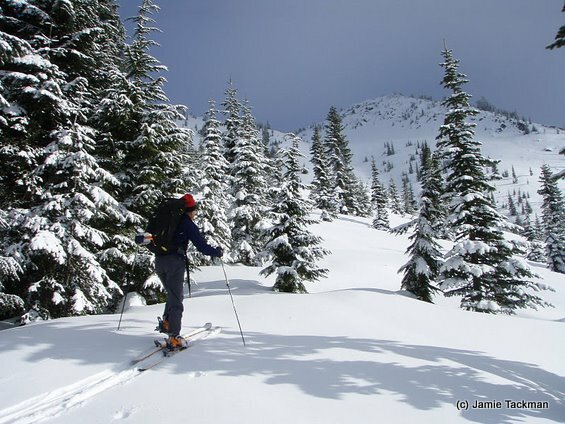 Also, check the Snow & Ski User Reports to see what others are reporting about the current backcountry conditions.